Interest rates vary depending on the value and demand for money, after all they’re the rent on capital borrowings. Interest rates, due to their association with the whole macro economic system, are controlled by the Federal/Central bank. The banks strike a balance between maintaining a high and a low interest rate , time bound, to fetch everybody’s wager. High interest rates attract capital inflows and low interest rates repel the inflows and favour outflows. Interest rates are manipulated by the Central banks to orderly cater to the demand-supply of the money. When money is demanded at higher levels , interest rates rise up – when the demand falls and supply increases , money becomes cheap and interest rates fall. That is, interest rates are a contrivance to determine the value of money. When the Interest Rate (r) is increased by the Federal/Central Bank an increase in the savings account deposits in all the banks throughout the nation can be seen. Cash will be more profitable to hoard than to spend and risk in the market. Money pours into the banks and the banks get inflated with the cash pouring in. Interest rates may differ among the banks but they do not differ too much from the prescribed interest rate by the Central bank. The inflated rate of interest, as the monetary authority has to deal with the balancing act, the markets face a crunch of money thus standardizing any disequilibrium hitting the economy by checking on the supply and demand for money. As cash balances now are hoarded by the banks and the cash crunch being experienced by the market the interest rates will be reduced by the monetary authorities and the credit will begin to flow. Money on credit with an interest rate lower than usual attracts many takers. Money again begins to flow into the market and this continues until the bubble bursts. Interest rates are always around the GDP% of the economy. Interest rate of returns is close to or around 6% if the economy grows by 6%. If $100 is invested today in the market the average returns over an year will be $106. GDP is the average rate of growth of various sectors clubbed together and an average growth rate is derived. When general interest rates reduce below the GDP of the economy it certainly is a favourable rate of interest. 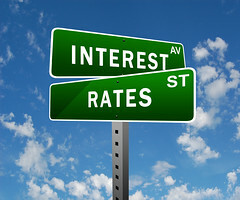 Lesser interest rates are a sign from the economy to start to invest and an increasing trend in interest rates its better to divert the savings into the wealth market and wait for the interest rates to fall because to strike at the equilibrium point a definitive increase in the rate of interest will also bring in a fall in the rate of interest due to the effect of business cycles. Measures such as interest rates are a great indicator of the condition of the economy. The Austrian school considers interest as the sole proprietary of the bubble creation. Interest never keeps itself too low for a long period or too high for a long period. Interest rates are the value of money over a period of time in relation to the demand for money. Lowering interest rates lowers the value of $1 by the negative change in the percentage. Cheaper money is better capitalization and the capital accumulated directly affects the progress of the economy although low interest furthers inflationary tendencies by increasing the supply of money. The same inflationary problem can again be dealt with an increase in interest rate. This instrument of supply control should not be the sole proprietary, yet in the developing countries, this instrument of interest rates is explicitly used, for the immature development of open markets in those nations. These critical measures when understood definitively the forecasts can be made with a relative ease. These instruments from the basic measures of economic regulations and manipulations. The rise and fall of interest rates and the floating mechanism of currency and interest watched from a balance of payments point of view gives us a point notice of future developments and slumps.